Havana Soup Kitchen was established in 2010 by BET-OSYAN (Basic Education and training for out of school youth and adults in Namibia), a non profit making NGO. The aim of this project is to make provision for underpriviledged children affected by Hiv/Aids and poverty. 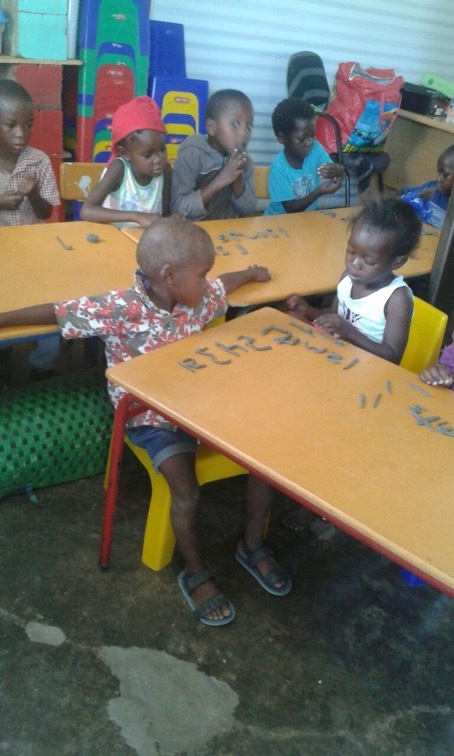 The project offers a kindergarten and daycare for children in the Moses Garoeb consistuency. Havana Soup Kitchen provides meals for 40 children in the age of 3 to 6 years two times per day. These kids are divided into three groups: from 3 to 4 years , 5 years and 6 years. At the age of 6 the children are ready to start primary school. Apart from this, Havana Soup Kitchen is engaged in community activities, such as feeding program for the needy grannies (senior citizens), empowering individuals to selfsustaining activities. Havana Soup Kitchen is still continuing thanks to Pallium, the main sponsor, and some valued NGO’s, churches and individuals who tirelessly contribute to this program. Besides preschool classes, there are also days set up to have fun together. 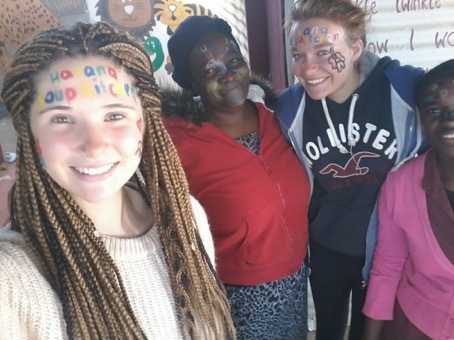 For example we have face painting days and they give a lot of joy to the kids. 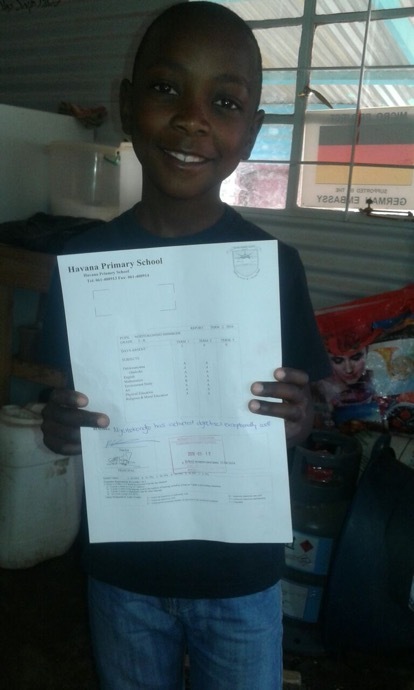 One of the volunteers from Havana Primary School offered dance classes. Olthough it took only 10 to 20 minutes per session, the children loved it. The Havana Soup Kitchen also embarks on community work, mostly to address poverty and hunger. This program started with a very effective lifeskills workshop. Some of the community members has come back with results. 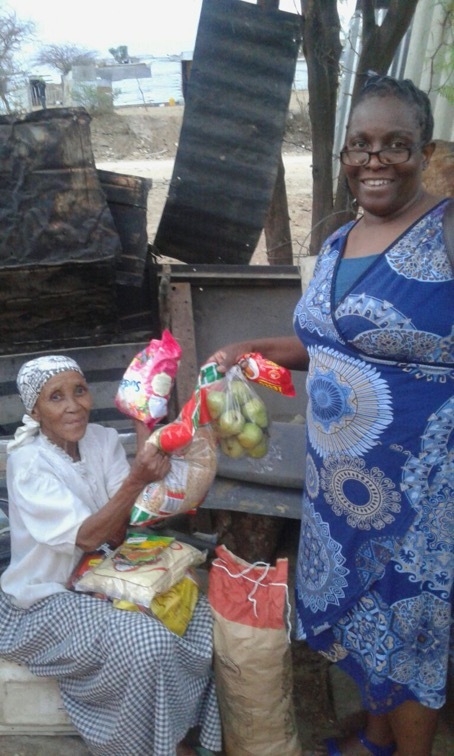 In 2015 we started with giving out food humpers (consisting of dry food, fresh meat, bath soap, clothing soap and dishwash) to elders and very needy old people which we have identified in the community. This activity happens once a month. Since the food is very expensive in Namibia, it supplements their daily food intake. 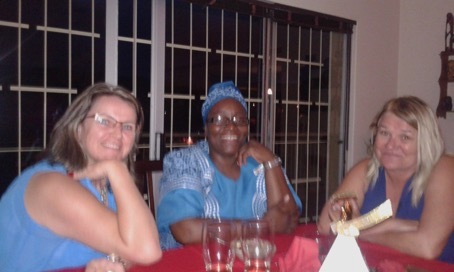 “Volunta”, a German organisation, committed itself to support the program through sending their volunteers to Namibian schools and the Havana Soup Kitchen. This activity benefits both partners: For the Havana Soup Kitchen the volunteers are a valuable source towards the education of the learners and the Soup Kitchen gives opportunity to the volunteers to learn more about the culture of the people in Africa and it helps them to make meaningful choices regarding their future careers. The volunteers at the Havana Soup Kitchen started about four years ago, and both partners are happy about their experiences with each other. To prepare for the work at the Soup Kitchen the volunteers receive a one week course from ACM, a volunteering church organisation, on how to work with preschool children. The training is a very helpful induction and orientation course for the new teachers. Imagodei is a Namibian NGO who provides foods to selected welfare organisations, the Havana Soup Kitchen is one of them since the beginning of the project. In 2016 they visited the Soup Kitchen and they were very impressed by the services for the children. They reaffirmed their involvement with Havana Soup kitchen. The Havana Soup Kitchen has been struggling with the municipality to get the plots approved, measured and allocated. This year great achievement has been reached when all these plots were served and boundaries allocated. We are sure that plans will be available next year and immediately we will have to start building in 2017. This year in december we will start with putting up the yards according to the specifications of the City of Windhoek. We will have to buy another gate and also slightly have to change the location of the yard. Pallium is the main sponsor of the Havana Soup kitchen. Imagodei supplies us with food. This is basically maize meal, brown bread meal, sugar, soup packets and vegetable oil. We really appreciate this support. We also receive support in form of food from Wecke & Voigts, Mr. Utz Greiner, who opened a monthly account on behalf of Havana Soup Kitchen. We get a little discount on gas from Afrox Namibia. Besides these regular sponsors, we have also individuals and some churches who contribute to the wellbeing and existence of this organization. We really appreciate their contribution. 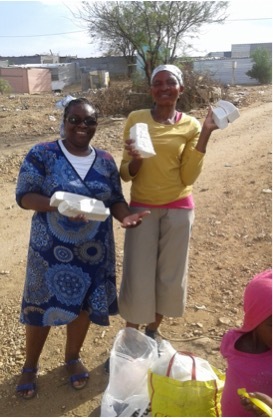 As regard to community work empowerment programs, one lady came back who we have taught how to make home made soap. She was very satisfied with the profit she makes with this activity. We have learned that the learning experience of the children has improved through some activities to clay work. It is very impressived that all the groups passed well, after we have made a proper assessment. At least two to three children of last year presented their school reports which really showed that we are making good foundational work. The English language of the children has also drastically changed this year. Building of the Soup Kitchen, workshops and meetings with grannies, especially teachings on personal hygiene, HIV/AIDS, worry and anxiety and more of selfsustaining activities.